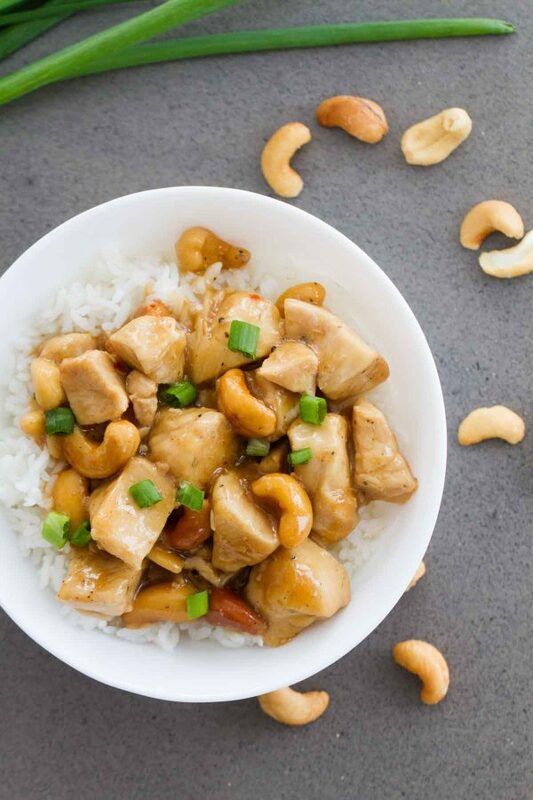 Fast, flavorful and perfect for a weeknight – this Pressure Cooker Cashew Chicken is the easiest way to skip the take out and make it yourself at home! I’ve had my Instant Pot for quite some time, now, and while I do use it, I’m always saying that I need to use it more. 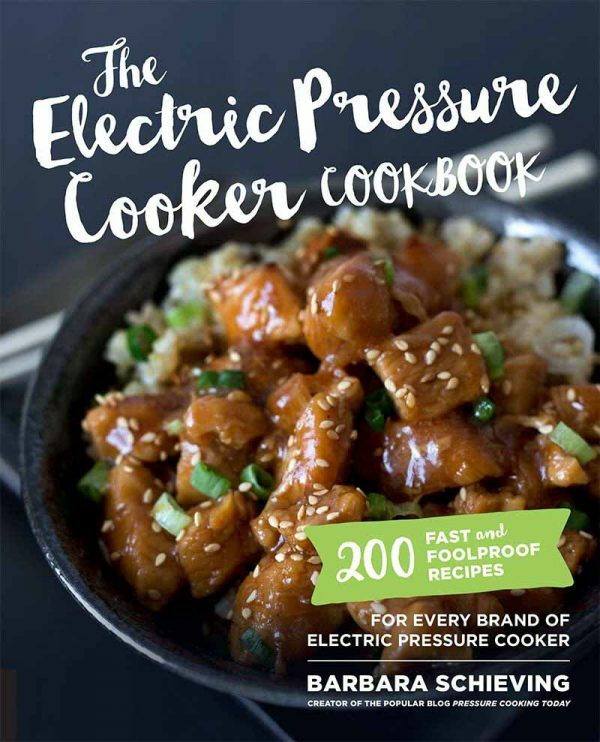 Which is why today’s cookbook – The Electric Pressure Cooker Cookbook – is one that I couldn’t wait to get my hands on. This book was written by Barbara Schieving, from the blog Pressure Cooking Today. I have actually made several other pressure cooker recipes from her blog, so I knew this cookbook would be good. There are so many recipes in this book – 200 of them. This is going to be my pressure cooker go-to! I love that there is a large variety of recipes in the book. In fact, while talking to Barbara about the book, she mentioned that the desserts are her favorite from the book. A year ago, I would have never even known that you could make dessert in the pressure cooker! Number of photos: Many. There are quite a few photos, but not one of every recipe. But I still feel like there are enough – especially when you consider that there are 200 recipes in the book. Difficulty level of recipes: Easy to medium. You might get a little intimidated by the pressure cooker at first, but you’ll soon learn just how easy it is to use a pressure cooker! Availability of ingredients: Easy. I didn’t see any ingredients that would be hard to find. Everything should be easily accessible. Buy The Electric Pressure Cooker Cookbook on Amazon. So here’s the deal. When I was trying to decide what to make, I couldn’t decide between a main dish and a dessert. I was leaning towards a main dish, but then after hearing that the desserts were Barbaras favorites, I wanted to change my mind. So I took it to Instagram, and on an Instagram stories, I had a poll. Dinner or dessert from this cookbook. And guess what? The results were totally even!! Half of the people wanted dinner, and half wanted dessert. So I asked Barbara if it would be ok if I shared 2 recipes from the book, and happily she said yes! 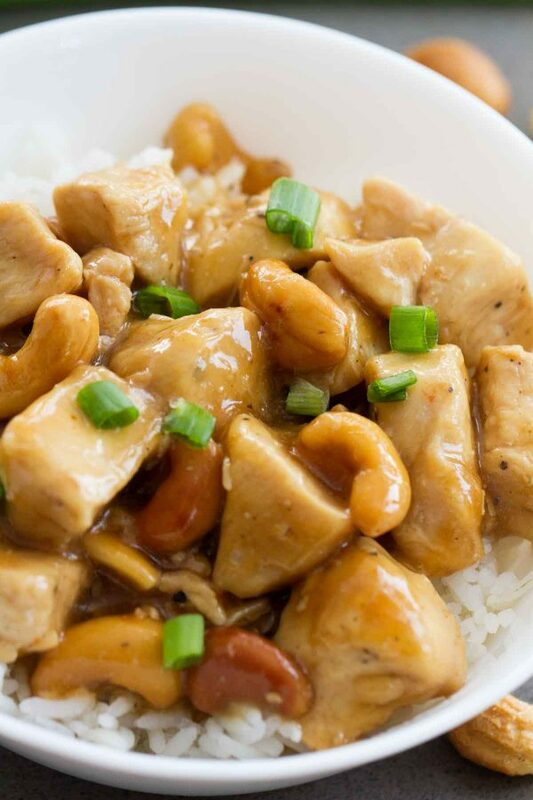 So today, I’m sharing this Cashew Chicken recipe with you, and then I will be sharing a dessert recipe next. I’m a huge fan of make your own take out, and Chinese inspired recipes are right there at the top. I have tried Barbara’s Beef and Broccoli and her Mongolian Beef, so of course, I had high hopes for this Pressure Cooker Cashew Chicken. And I’m happy to report that it definitely met those expectations!! This was easy, and full of flavor. And the leftovers were even pretty amazing!! The only thing I would have done differently is to brown the chicken in batches (as my chicken didn’t get very brown), but otherwise, I wouldn’t change a thing. 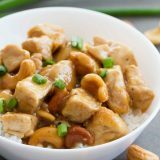 This Pressure Cooker Cashew Chicken is pretty much perfect as it is! Now stay tuned for the pressure cooker dessert! Lightly season the chicken with pepper. Select browning/saute to preheat the pressure cooking pot. When it’s hot, add the vegetable oil and the chicken*. Saute for about 3 minutes. Stir in the chicken broth, soy sauce, honey, rice vinegar, and chili-garlic sauce. Lock the lid in place. Select high pressure for 3 minutes cook time. In a small bowl, whisk the cornstarch and cold water until smooth. Gradually add the slurry to the pot. Select simmer/saute and simmer, stirring constantly, until the sauce thickens. Stir in the cashews and simmer for 2 minutes more. Serve over rice, if desired, and garnish with the green onions. 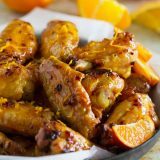 *for more color on the chicken, cook it in batches so that the chicken will brown better. Thanks so much for the great review! I’m so glad you loved the cashew chicken. Such a great picture! I can’t wait to see what dessert you make. 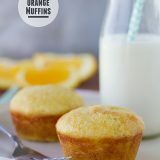 We really loved the recipe as is and a lot of people do as well. 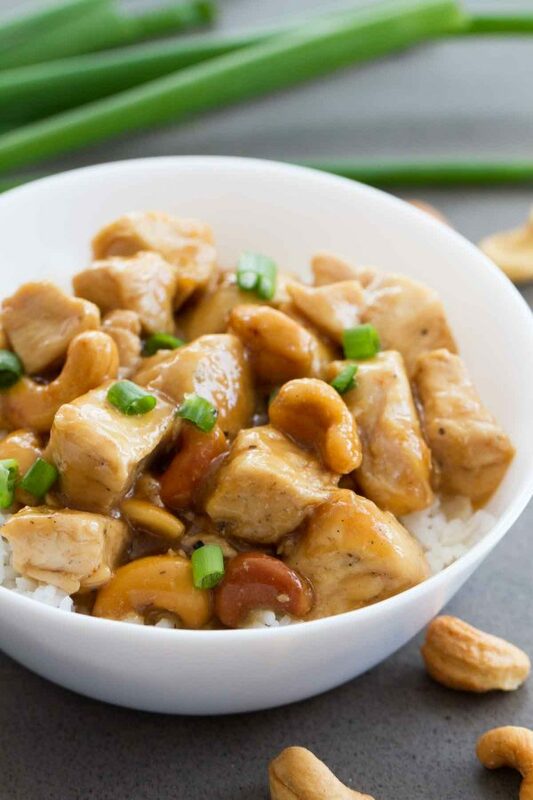 My best friend shared this pressure cooker cashew chicken recipe with me and I am so happy she did. Now, it is my favorite thing to cook. It is extremely tasty and delicious. 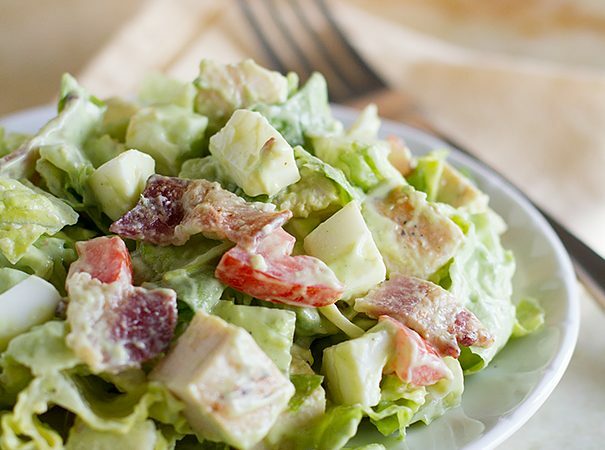 Apart from that, the flavors will surely make your mouth water and you will feel great after eating it. I always make use of organic chicken and it is just superb! 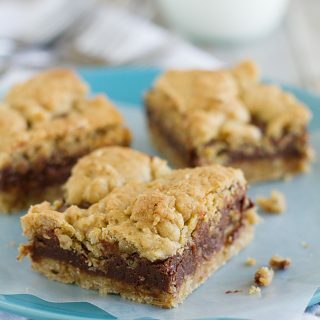 Thank you for this wonderful recipe. Good job! 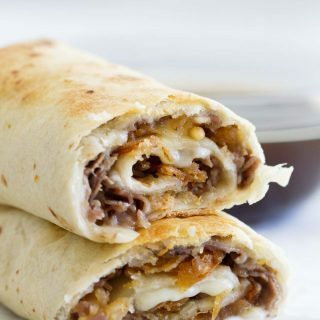 This sounds and looks so delicious and I would like to try making this tonight. However, I do not know what garlic-chili sauce is. What is it and where would I find it in the grocery store? You should be able to find it in the Asian section of your grocery store. I usually buy the Huy Fong brand that has a green lid. It should just say Chili Garlic Sauce on the label. You inspired me to give my InstaPot another try. I made this last night for dinner and it was a HUGE hit. Can’t wair to try Deborah’s other Asian inspired recipes. Do you know if recipes can be doubled or is that a big no no for IP? I don’t have a lot of experience with doubling recipes in the pressure cooker, but I did a little bit of reading. It sounds like you just need to make sure you aren’t filling it too full (2/3 for this recipe) and that it will probably take longer to come to pressure. If you try, please let me know how it turns out! Hi there I can’t wait to try this recipe tonight! 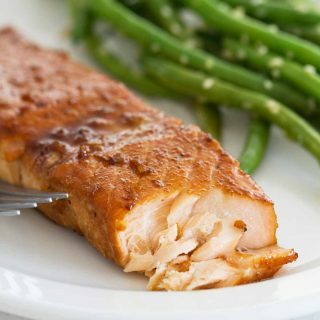 Can you tell me if it is the same cooking time if I make this for 4 instead of 6 servings or should it be a little less? You will keep the cook time the same even if you make less. I hope you love it! This is the second dish I’ve made in my Instant Pot. I found the instructions to be accurate and easy to follow. Removing one star because I felt the dish was pretty bland. Admittedly, I omitted the garlic chili paste because I don’t like garlic or chili. I ended up adding 1/3 c. of frozen peas, 4 sliced crimini mushrooms and 1/2 tsp. grated fresh ginger in the final saute phase. Because of the extra cooking time the chicken was a bit dry. 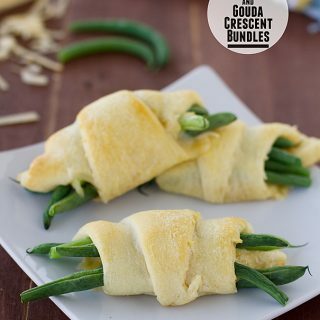 Next time I’ll have those items at the ready (an use snow peas instead of frozen) and I’m confident it will turn out better. Either way, the family ate it all and enjoyed it. That’s a success in my book! 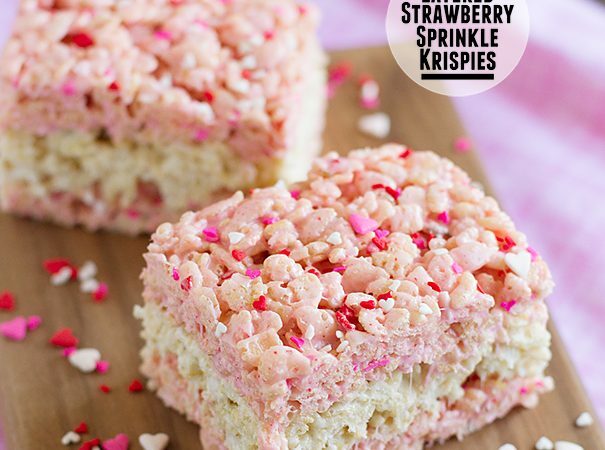 I am going to make this as soon as I get all of the ingredients. I do want to add some vegetables so I think I will add sliced carrots, celery and I want something more but don’t know at this time. Have you any suggestions? I think broccoli or bell peppers would be great as well!